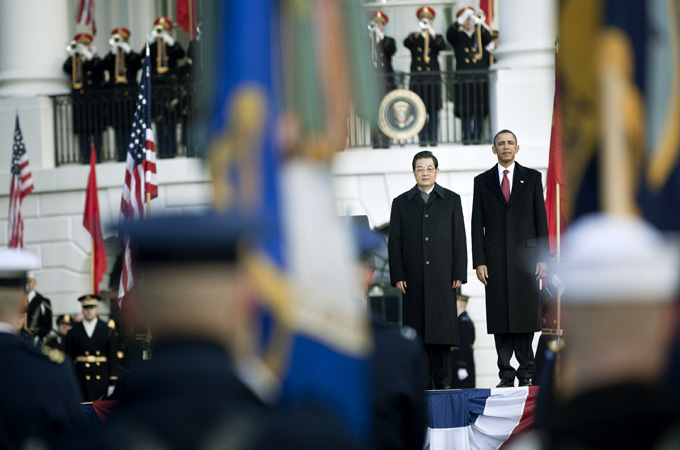 The United States is turning our attention to the vast potential of the Asia-Pacific region. The new policy was signalled by President Obama himself on November 17 in an address to the Australian Parliament in which he laid out an audacious – and extremely dangerous – geopolitical vision. Instead of focusing on the greater Middle East, as has been the case for the last decade, the United States will now concentrate its power in Asia and the Pacific. Given that a proliferation of American military hardware and components — including crucial semiconductors — are now made in China, the notion of America truly asserting itself on the Asia-Pacific region is absurd. If relations with China breaks down then trade with China breaks down, and America loses the ability to manufacture and import certain military hardware. Furthermore, it loses the free lunch of Chinese goods that furnish the heartland of American consumerism, and placate an American people whose real incomes and purchasing power have consistently fallen since the 1980s. Worst of all, it jeopardises the global energy infrastructure upon which America’s agribusiness and infrastructure depends. While America is moving closer to being able to exploit “tough oil” hotspots in North Dakota, Alaska and the Gulf of Mexico, those oil production capacities cannot be brought online overnight. Not only this, but America funds her military adventurism through unsustainable debt acquisition (a huge part of which is Chinese-held) rather than productive output. The strange reality is that American assertiveness against China can be cut off by China refusing to buy America’s increasingly debased debt. Unsurprisingly, China is already reducing her American debt holdings. Simply, American attempts to assert itself on China risks alienating a nation upon which America is totally and inexorably dependent. While this is difficult to recognise for blustering “national security” neo-conservatives like Mitt Romney — the archangel of American imperial decline — or Obama, it is as inescapable and undeniable as the sunrise. The remedy is not more American imperialism. It is not more debt. It is not more bravado or self-aggrandizement. It is an open and honest commitment to the truth — America’s imperial strategy, based on oil supremacy and the petrodollar — is an anachronism. Its time has come and gone. To get over this hump America needs to commit to a greater degree of energy, and manufacturing independence. American imperial policy acts as a humungous subsidy on the price of oil. Ending such a subsidy will allow the free market to do its work, and make all kinds of alternative energy — from solar, to hydro-electric, to synthetic oil, to thorium – far more competitive. Only by accepting the changing realities of geopolitics can America prepare herself for the coming realities of the 21st Century. This entry was posted in International Relations and tagged china, energy independence, gingrich, jon huntsman, obama, romney, Ron Paul, war, wen jiabao, world war 3. Bookmark the permalink. We’ve always been at war. Period. ‘They’ LOVE to kill. Anybody will do. Can’t wait until it’s ‘their’ turn… they are yellow bellies, see the bullies run… but ‘they’ can’t hide.. oh me…. oh my… no sympathy here, murderers. I believe hawks5999 is quoting a famous line from Orwell’s 1984. Orwell was wrong: we are not at war with Eurasia, followed by East Asia, followed by Eurasia. We are at war with both at the same time. War is the health of the state. The millitary industrial complex needs war, maybe the war on terror will deliver, maybe it will not. There are huge conflicting problems as identified by the author in this post, it is difficult to believe that all these highly educated people of influence are really as dumb as they behave, they must see what is going on, they must see where we are heading, they must have a game plan. Or is it really a trip into the unknown with no map or plan. God help us. As someone who has spent a considerable amount of time among highly educated people of influence, I can confirm that sometimes they can be extraordinarily bad at seeing the wood from the trees. As someone who has spent a considerable amount of time among lowly educated people of zero influence, I can confirm that sometimes they can be extraordinarily good at seeing the wood from the trees. Common sense is like a neural network. If you are at the coal face, and communicate among others at the coal face, you can tell if the battle is turning, before the General signals a retreat. Your blog crushes even well-funded establishment publications like Foreign Affairs into the ground. You’re very good at citing past pieces you’ve written as well as outside sources. Furthermore, you are very concise and do not take on an excessively academic air. I am constantly remarking how incisive and pragmatic your analysis is. Even being aware of thorium fuel cells deserves praise. Keep up the good work. I’d like to hear more of your thoughts on Africa and South America in the future.